Click on the word you want to answer. If the boxes turn green, you are correct. Once you get all the words, click submit. There are more words than show up, so click start over to get a new set of words. Answer the questions about Spanish clothing. When you get the answer correct, you try to navigate the Zoo creature from one pad to the other using the keyboard arrow keys. If you wanted to play a different game on Zondle, click on the link. This practice activity will combine clothing vocabulary and definite and indefinite articles. Check the notes for definite articles and indefinite articles if you need a refresher. You need to save the image of the Gingerbread Man. Open the image in a Drawing App. 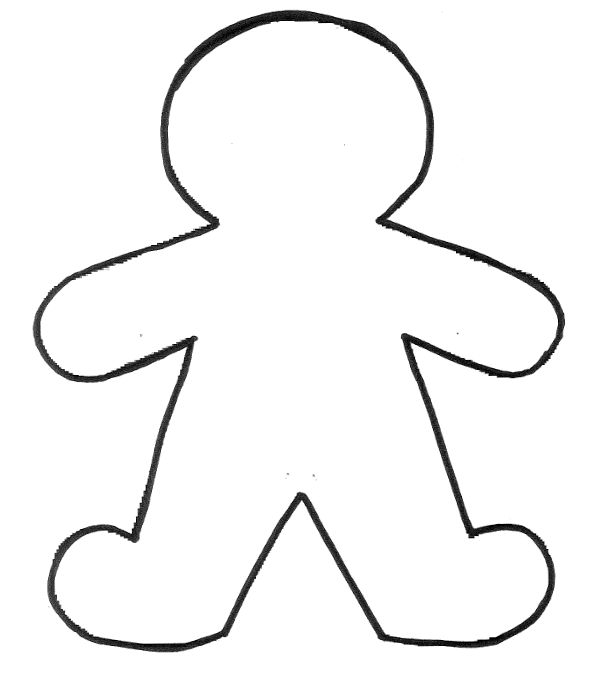 Draw clothing on the Gingerbread Man to give him/her a detailed and colorful outfit. You will write sentences describing the Gingerbread Man's outfit. The sentences will be recorded using either Educreations or Fotobabble.